Last week the whole team got a much deserved day out of the office. We began our day by meeting at one of our favorite coffee spots, Rowster Coffee in East Town. After enjoying some delicious pour over coffee, we walked across the street to Donkey – Taqueria for lunch. Besides Nick, it was our first time eating there. The food, decor and atmosphere were all great! Even Guillermo was impressed! After lunch, we headed to Gilmore Furniture Inc. which is the real reason for our day out. Gilmore is a new client of ours and we wanted to get a first hand look at their business as we plan and design their new website. I don’t think any of us anticipated just how cool the factory tour would be. Gilmore is an OEM furniture manufacturer for some of the biggest furniture companies in the world. They can manufacture any combination of metal, fabric and wood into high-end, complete furniture pieces or components. During our tour one thing that struck us was the level of craftsmanship and pride that goes into everything that Gilmore produces. We mentioned this to our tour guide and he said that Gilmore has worked hard to attract and employ the best furniture craftsman that Grand Rapids has to offer. If you’re from Grand Rapids you will know that we have a rich history in furniture making. All in all it was a pretty great day! Good coffee, good food and an impressive factory tour. 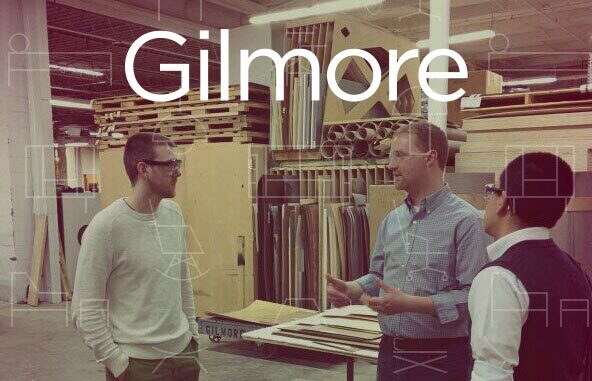 We have a great vision for the new Gilmore Furniture Inc. website and are excited to begin building it.